KPI for Compliance: Users can now attach documents to the Notifications Compliance Widget, located on the Executive Dashboard. Announcements Widget: Users can now attach documents to the Announcements Widget using the Document Management Module - which will appear in the Announcements section. 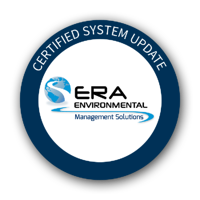 New Report - Air Compliance Daily Summary F188: A new report has been designed that will calculate daily and rolling emissions for OCs (Organic Compounds). Import Improvement: When importing water data a CAS number is no longer required. All the user needs is the parameter name (ie. Flow, Chrome, pH, etc.) and the system will match these to the discharge limits associated with the permit. This reduces the need to populate the CAS column which will help decrease the manual data preparation prior to import. Improvement in UI - Increase in Character Limit: A new development has been implemented to allow users to utilize a higher-than 50 character limit for training subjects. Improvement in UI: The ability to run classifications per the CLP regulation has been added. Datatype Improvement: The product datatype filter for "Active/Inactive" has been updated for products. Speed Improvement: BPM template speed of progressing from step to step has been improved. New Datatype: DocumentListSummary: This datatype will show all documents uploading to Module: Document Management. New Datatype: TextboxEditor: This datatype allows users to format their answers when out a BP. Interface Improvement: We have added a new feature in compliance that allows us to mark a task as visible or invisible. This is a helpful tool to help organize all tasks in a company. Over the years some tasks no longer apply; these can be made invisible instead of deleting them. Dynamic Import Error Tracking: A new error trapping has been developed for dynamic import, allowing the user to identify the records that cause errors during an incident import. A new implementation now permits product import using a flexible template. Under the EU REACH regulations, substances that are one of the following can be regarded as Substances of Very High Concern (SVHC). Currently, there are 169 substances on the SVHC Candidate List. The Candidate List of Substances of Very High Concern was last updated on the 20th June 2016. The chemical below has been added to the REACH SVHC regulation in the Master Chemical List following the update.